Mercedes-Benz of Laredo, Best of the Best Dealer Recognition Award Voted Laredo Morning Times Best Car Dealership, Powell Watson Motors Company as the BEST IN TOWN Contact Powell Watson Motor Group today for information on dozens of vehicles like this 2019 Mercedes-Benz E-Class E 300. Add-Ons: Appearance & Protection Pkg., High Performance Window Film (Lifetime Warranty), Nitrogen Pull up in the vehicle and the valet will want to parked on the front row. This Mercedes-Benz E-Class is the vehicle others dream to own. Don't miss your chance to make it your new ride. There is no reason why you shouldn't buy this Mercedes-Benz E-Class E 300. It is incomparable for the price and quality. You can finally stop searching... You've found the one you've been looking for. You've found the one you've been looking for. Your dream car.Mercedes-Benz of Laredo, Best of the Best Dealer Recognition Award Voted Laredo Morning Times Best Car Dealership, Powell Watson Motors Company as the BEST IN TOWN Contact Powell Watson Motor Group today for information on dozens of vehicles like this 2019 Mercedes-Benz E-Class E 300. Add-Ons: Appearance & Protection Pkg., High Performance Window Film (Lifetime Warranty), Nitrogen Pull up in the vehicle and the valet will want to parked on the front row. This Mercedes-Benz E-Class is the vehicle others dream to own. Don't miss your chance to make it your new ride. There is no reason why you shouldn't buy this Mercedes-Benz E-Class E 300. It is incomparable for the price and quality. You can finally stop searching... You've found the one you've been looking for. You've found the one you've been looking for. Your dream car. Mercedes-Benz of Laredo, Best of the Best Dealer Recognition Award Voted Laredo Morning Times Best Car Dealership, Powell Watson Motors Company as the BEST IN TOWN This outstanding example of a 2019 Mercedes-Benz E-Class E 300 is offered by Powell Watson Motor Group. Add-Ons: Appearance & Protection Pkg., High Performance Window Film (Lifetime Warranty), Nitrogen Pull up in the vehicle and the valet will want to parked on the front row. This Mercedes-Benz E-Class is the vehicle others dream to own. Don't miss your chance to make it your new ride. Just what you've been looking for. With quality in mind, this vehicle is the perfect addition to take home. The Mercedes-Benz E-Class E 300 will provide you with everything you have always wanted in a car -- Quality, Reliability, and Character. You could keep looking, but why? You've found the perfect vehicle right here.Mercedes-Benz of Laredo, Best of the Best Dealer Recognition Award Voted Laredo Morning Times Best Car Dealership, Powell Watson Motors Company as the BEST IN TOWN This outstanding example of a 2019 Mercedes-Benz E-Class E 300 is offered by Powell Watson Motor Group. Add-Ons: Appearance & Protection Pkg., High Performance Window Film (Lifetime Warranty), Nitrogen Pull up in the vehicle and the valet will want to parked on the front row. This Mercedes-Benz E-Class is the vehicle others dream to own. Don't miss your chance to make it your new ride. Just what you've been looking for. With quality in mind, this vehicle is the perfect addition to take home. The Mercedes-Benz E-Class E 300 will provide you with everything you have always wanted in a car -- Quality, Reliability, and Character. You could keep looking, but why? You've found the perfect vehicle right here. Mercedes-Benz of Laredo, Best of the Best Dealer Recognition Award Voted Laredo Morning Times Best Car Dealership, Powell Watson Motors Company as the BEST IN TOWN You can find this 2019 Mercedes-Benz E-Class E 300 and many others like it at Powell Watson Motor Group. Add-Ons: Appearance & Protection Pkg., High Performance Window Film (Lifetime Warranty), Nitrogen You appreciate the finer things in life, the vehicle you drive should not be the exception. Style, performance, sophistication is in a class of its own with this stunning Mercedes-Benz E-Class. The Mercedes-Benz E-Class E 300 will provide you with everything you have always wanted in a car -- Quality, Reliability, and Character. You've found the one you've been looking for. Your dream car. There is no reason why you shouldn't buy this Mercedes-Benz E-Class E 300. It is incomparable for the price and quality.Mercedes-Benz of Laredo, Best of the Best Dealer Recognition Award Voted Laredo Morning Times Best Car Dealership, Powell Watson Motors Company as the BEST IN TOWN You can find this 2019 Mercedes-Benz E-Class E 300 and many others like it at Powell Watson Motor Group. Add-Ons: Appearance & Protection Pkg., High Performance Window Film (Lifetime Warranty), Nitrogen You appreciate the finer things in life, the vehicle you drive should not be the exception. Style, performance, sophistication is in a class of its own with this stunning Mercedes-Benz E-Class. The Mercedes-Benz E-Class E 300 will provide you with everything you have always wanted in a car -- Quality, Reliability, and Character. You've found the one you've been looking for. Your dream car. There is no reason why you shouldn't buy this Mercedes-Benz E-Class E 300. It is incomparable for the price and quality. Mercedes-Benz of Laredo, Best of the Best Dealer Recognition Award Voted Laredo Morning Times Best Car Dealership, Powell Watson Motors Company as the BEST IN TOWN You can find this 2019 Mercedes-Benz E-Class E 300 and many others like it at Powell Watson Motor Group. Add-Ons: Appearance & Protection Pkg., High Performance Window Film (Lifetime Warranty), Nitrogen Today's luxury vehicle is not just about opulence. It's about a perfect balance of performance, comfort and attention to detail. This 2019 Mercedes-Benz E-Class is the perfect example of the modern luxury. You could keep looking, but why? You've found the perfect vehicle right here. The Mercedes-Benz E-Class E 300 will provide you with everything you have always wanted in a car -- Quality, Reliability, and Character. 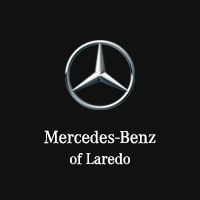 This is about the time when you're saying it is too good to be true, and let us be the one's to tell you, it is absolutely true.Mercedes-Benz of Laredo, Best of the Best Dealer Recognition Award Voted Laredo Morning Times Best Car Dealership, Powell Watson Motors Company as the BEST IN TOWN You can find this 2019 Mercedes-Benz E-Class E 300 and many others like it at Powell Watson Motor Group. Add-Ons: Appearance & Protection Pkg., High Performance Window Film (Lifetime Warranty), Nitrogen Today's luxury vehicle is not just about opulence. It's about a perfect balance of performance, comfort and attention to detail. This 2019 Mercedes-Benz E-Class is the perfect example of the modern luxury. You could keep looking, but why? You've found the perfect vehicle right here. The Mercedes-Benz E-Class E 300 will provide you with everything you have always wanted in a car -- Quality, Reliability, and Character. This is about the time when you're saying it is too good to be true, and let us be the one's to tell you, it is absolutely true. Mercedes-Benz of Laredo, Best of the Best Dealer Recognition Award Voted Laredo Morning Times Best Car Dealership, Powell Watson Motors Company as the BEST IN TOWN Contact Powell Watson Motor Group today for information on dozens of vehicles like this 2019 Mercedes-Benz E-Class E 300. Add-Ons: Appearance & Protection Pkg., High Performance Window Film (Lifetime Warranty), Nitrogen Today's luxury vehicle is not just about opulence. It's about a perfect balance of performance, comfort and attention to detail. This 2019 Mercedes-Benz E-Class is the perfect example of the modern luxury. You've found the one you've been looking for. Your dream car. You could keep looking, but why? You've found the perfect vehicle right here. This is the one. Just what you've been looking for.Mercedes-Benz of Laredo, Best of the Best Dealer Recognition Award Voted Laredo Morning Times Best Car Dealership, Powell Watson Motors Company as the BEST IN TOWN Contact Powell Watson Motor Group today for information on dozens of vehicles like this 2019 Mercedes-Benz E-Class E 300. Add-Ons: Appearance & Protection Pkg., High Performance Window Film (Lifetime Warranty), Nitrogen Today's luxury vehicle is not just about opulence. It's about a perfect balance of performance, comfort and attention to detail. This 2019 Mercedes-Benz E-Class is the perfect example of the modern luxury. You've found the one you've been looking for. Your dream car. You could keep looking, but why? You've found the perfect vehicle right here. This is the one. Just what you've been looking for. Mercedes-Benz of Laredo, Best of the Best Dealer Recognition Award Voted Laredo Morning Times Best Car Dealership, Powell Watson Motors Company as the BEST IN TOWN Powell Watson Motor Group is excited to offer this 2019 Mercedes-Benz E-Class. Add-Ons: Appearance & Protection Pkg., High Performance Window Film (Lifetime Warranty), Nitrogen There's a level of quality and refinement in this Mercedes-Benz E-Class that you won't find in your average vehicle. Just what you've been looking for. With quality in mind, this vehicle is the perfect addition to take home. This is about the time when you're saying it is too good to be true, and let us be the one's to tell you, it is absolutely true. You could keep looking, but why? You've found the perfect vehicle right here.Mercedes-Benz of Laredo, Best of the Best Dealer Recognition Award Voted Laredo Morning Times Best Car Dealership, Powell Watson Motors Company as the BEST IN TOWN Powell Watson Motor Group is excited to offer this 2019 Mercedes-Benz E-Class. Add-Ons: Appearance & Protection Pkg., High Performance Window Film (Lifetime Warranty), Nitrogen There's a level of quality and refinement in this Mercedes-Benz E-Class that you won't find in your average vehicle. Just what you've been looking for. With quality in mind, this vehicle is the perfect addition to take home. This is about the time when you're saying it is too good to be true, and let us be the one's to tell you, it is absolutely true. You could keep looking, but why? You've found the perfect vehicle right here. Mercedes-Benz of Laredo, Best of the Best Dealer Recognition Award Voted Laredo Morning Times Best Car Dealership, Powell Watson Motors Company as the BEST IN TOWN Contact Powell Watson Motor Group today for information on dozens of vehicles like this 2019 Mercedes-Benz E-Class E 300. Add-Ons: Appearance & Protection Pkg., High Performance Window Film (Lifetime Warranty), Nitrogen There's a level of quality and refinement in this Mercedes-Benz E-Class that you won't find in your average vehicle. You've found the one you've been looking for. Your dream car. This is about the time when you're saying it is too good to be true, and let us be the one's to tell you, it is absolutely true. The Mercedes-Benz E-Class E 300 will provide you with everything you have always wanted in a car -- Quality, Reliability, and Character.Mercedes-Benz of Laredo, Best of the Best Dealer Recognition Award Voted Laredo Morning Times Best Car Dealership, Powell Watson Motors Company as the BEST IN TOWN Contact Powell Watson Motor Group today for information on dozens of vehicles like this 2019 Mercedes-Benz E-Class E 300. Add-Ons: Appearance & Protection Pkg., High Performance Window Film (Lifetime Warranty), Nitrogen There's a level of quality and refinement in this Mercedes-Benz E-Class that you won't find in your average vehicle. You've found the one you've been looking for. Your dream car. This is about the time when you're saying it is too good to be true, and let us be the one's to tell you, it is absolutely true. The Mercedes-Benz E-Class E 300 will provide you with everything you have always wanted in a car -- Quality, Reliability, and Character. Mercedes-Benz of Laredo, Best of the Best Dealer Recognition Award Voted Laredo Morning Times Best Car Dealership, Powell Watson Motors Company as the BEST IN TOWN This 2019 Mercedes-Benz E-Class E 300 is proudly offered by Powell Watson Motor Group Add-Ons: Appearance & Protection Pkg., High Performance Window Film (Lifetime Warranty), Nitrogen Pull up in the vehicle and the valet will want to parked on the front row. This Mercedes-Benz E-Class is the vehicle others dream to own. Don't miss your chance to make it your new ride. This is about the time when you're saying it is too good to be true, and let us be the one's to tell you, it is absolutely true. This is the one. Just what you've been looking for. The Mercedes-Benz E-Class E 300 will provide you with everything you have always wanted in a car -- Quality, Reliability, and Character.Mercedes-Benz of Laredo, Best of the Best Dealer Recognition Award Voted Laredo Morning Times Best Car Dealership, Powell Watson Motors Company as the BEST IN TOWN This 2019 Mercedes-Benz E-Class E 300 is proudly offered by Powell Watson Motor Group Add-Ons: Appearance & Protection Pkg., High Performance Window Film (Lifetime Warranty), Nitrogen Pull up in the vehicle and the valet will want to parked on the front row. This Mercedes-Benz E-Class is the vehicle others dream to own. Don't miss your chance to make it your new ride. This is about the time when you're saying it is too good to be true, and let us be the one's to tell you, it is absolutely true. This is the one. Just what you've been looking for. The Mercedes-Benz E-Class E 300 will provide you with everything you have always wanted in a car -- Quality, Reliability, and Character. Mercedes-Benz of Laredo, Best of the Best Dealer Recognition Award Voted Laredo Morning Times Best Car Dealership, Powell Watson Motors Company as the BEST IN TOWN This outstanding example of a 2019 Mercedes-Benz E-Class E 300 is offered by Powell Watson Motor Group. Add-Ons: Appearance & Protection Pkg., High Performance Window Film (Lifetime Warranty), Nitrogen You appreciate the finer things in life, the vehicle you drive should not be the exception. Style, performance, sophistication is in a class of its own with this stunning Mercedes-Benz E-Class. This vehicle won't last long, take it home today. This is about the time when you're saying it is too good to be true, and let us be the one's to tell you, it is absolutely true. Look no further, you have found exactly what you've been looking for.Mercedes-Benz of Laredo, Best of the Best Dealer Recognition Award Voted Laredo Morning Times Best Car Dealership, Powell Watson Motors Company as the BEST IN TOWN This outstanding example of a 2019 Mercedes-Benz E-Class E 300 is offered by Powell Watson Motor Group. Add-Ons: Appearance & Protection Pkg., High Performance Window Film (Lifetime Warranty), Nitrogen You appreciate the finer things in life, the vehicle you drive should not be the exception. Style, performance, sophistication is in a class of its own with this stunning Mercedes-Benz E-Class. This vehicle won't last long, take it home today. This is about the time when you're saying it is too good to be true, and let us be the one's to tell you, it is absolutely true. Look no further, you have found exactly what you've been looking for. Mercedes-Benz of Laredo, Best of the Best Dealer Recognition Award Voted Laredo Morning Times Best Car Dealership, Powell Watson Motors Company as the BEST IN TOWN This 2019 Mercedes-Benz E-Class E 300 is proudly offered by Powell Watson Motor Group Add-Ons: Appearance & Protection Pkg., High Performance Window Film (Lifetime Warranty), Nitrogen Pull up in the vehicle and the valet will want to parked on the front row. This Mercedes-Benz E-Class is the vehicle others dream to own. Don't miss your chance to make it your new ride. The Mercedes-Benz E-Class E 300 will provide you with everything you have always wanted in a car -- Quality, Reliability, and Character. Look no further, you have found exactly what you've been looking for. There is no reason why you shouldn't buy this Mercedes-Benz E-Class E 300. It is incomparable for the price and quality.Mercedes-Benz of Laredo, Best of the Best Dealer Recognition Award Voted Laredo Morning Times Best Car Dealership, Powell Watson Motors Company as the BEST IN TOWN This 2019 Mercedes-Benz E-Class E 300 is proudly offered by Powell Watson Motor Group Add-Ons: Appearance & Protection Pkg., High Performance Window Film (Lifetime Warranty), Nitrogen Pull up in the vehicle and the valet will want to parked on the front row. This Mercedes-Benz E-Class is the vehicle others dream to own. Don't miss your chance to make it your new ride. The Mercedes-Benz E-Class E 300 will provide you with everything you have always wanted in a car -- Quality, Reliability, and Character. Look no further, you have found exactly what you've been looking for. There is no reason why you shouldn't buy this Mercedes-Benz E-Class E 300. It is incomparable for the price and quality. Mercedes-Benz of Laredo, Best of the Best Dealer Recognition Award Voted Laredo Morning Times Best Car Dealership, Powell Watson Motors Company as the BEST IN TOWN This outstanding example of a 2019 Mercedes-Benz E-Class E 300 is offered by Powell Watson Motor Group. Add-Ons: Appearance & Protection Pkg., High Performance Window Film (Lifetime Warranty), Nitrogen Today's luxury vehicle is not just about opulence. It's about a perfect balance of performance, comfort and attention to detail. This 2019 Mercedes-Benz E-Class is the perfect example of the modern luxury. You can finally stop searching... You've found the one you've been looking for. This is the one. Just what you've been looking for. You could keep looking, but why? You've found the perfect vehicle right here.Mercedes-Benz of Laredo, Best of the Best Dealer Recognition Award Voted Laredo Morning Times Best Car Dealership, Powell Watson Motors Company as the BEST IN TOWN This outstanding example of a 2019 Mercedes-Benz E-Class E 300 is offered by Powell Watson Motor Group. Add-Ons: Appearance & Protection Pkg., High Performance Window Film (Lifetime Warranty), Nitrogen Today's luxury vehicle is not just about opulence. It's about a perfect balance of performance, comfort and attention to detail. This 2019 Mercedes-Benz E-Class is the perfect example of the modern luxury. You can finally stop searching... You've found the one you've been looking for. This is the one. Just what you've been looking for. You could keep looking, but why? You've found the perfect vehicle right here. Mercedes-Benz of Laredo, Best of the Best Dealer Recognition Award Voted Laredo Morning Times Best Car Dealership, Powell Watson Motors Company as the BEST IN TOWN This outstanding example of a 2019 Mercedes-Benz E-Class E 300 is offered by Powell Watson Motor Group. Add-Ons: Appearance & Protection Pkg., High Performance Window Film (Lifetime Warranty), Nitrogen You appreciate the finer things in life, the vehicle you drive should not be the exception. Style, performance, sophistication is in a class of its own with this stunning Mercedes-Benz E-Class. This is the one. Just what you've been looking for. You've found the one you've been looking for. Your dream car. You can finally stop searching... You've found the one you've been looking for.Mercedes-Benz of Laredo, Best of the Best Dealer Recognition Award Voted Laredo Morning Times Best Car Dealership, Powell Watson Motors Company as the BEST IN TOWN This outstanding example of a 2019 Mercedes-Benz E-Class E 300 is offered by Powell Watson Motor Group. Add-Ons: Appearance & Protection Pkg., High Performance Window Film (Lifetime Warranty), Nitrogen You appreciate the finer things in life, the vehicle you drive should not be the exception. Style, performance, sophistication is in a class of its own with this stunning Mercedes-Benz E-Class. This is the one. Just what you've been looking for. You've found the one you've been looking for. Your dream car. You can finally stop searching... You've found the one you've been looking for. Mercedes-Benz of Laredo, Best of the Best Dealer Recognition Award Voted Laredo Morning Times Best Car Dealership, Powell Watson Motors Company as the BEST IN TOWN This outstanding example of a 2019 Mercedes-Benz E-Class E 300 is offered by Powell Watson Motor Group. Add-Ons: Appearance & Protection Pkg., High Performance Window Film (Lifetime Warranty), Nitrogen Pull up in the vehicle and the valet will want to parked on the front row. This Mercedes-Benz E-Class is the vehicle others dream to own. Don't miss your chance to make it your new ride. Just what you've been looking for. With quality in mind, this vehicle is the perfect addition to take home. Based on the superb condition of this vehicle, along with the options and color, this Mercedes-Benz E-Class E 300 is sure to sell fast. The Mercedes-Benz E-Class E 300 will provide you with everything you have always wanted in a car -- Quality, Reliability, and Character.Mercedes-Benz of Laredo, Best of the Best Dealer Recognition Award Voted Laredo Morning Times Best Car Dealership, Powell Watson Motors Company as the BEST IN TOWN This outstanding example of a 2019 Mercedes-Benz E-Class E 300 is offered by Powell Watson Motor Group. Add-Ons: Appearance & Protection Pkg., High Performance Window Film (Lifetime Warranty), Nitrogen Pull up in the vehicle and the valet will want to parked on the front row. This Mercedes-Benz E-Class is the vehicle others dream to own. Don't miss your chance to make it your new ride. Just what you've been looking for. With quality in mind, this vehicle is the perfect addition to take home. Based on the superb condition of this vehicle, along with the options and color, this Mercedes-Benz E-Class E 300 is sure to sell fast. The Mercedes-Benz E-Class E 300 will provide you with everything you have always wanted in a car -- Quality, Reliability, and Character. Mercedes-Benz of Laredo, Best of the Best Dealer Recognition Award Voted Laredo Morning Times Best Car Dealership, Powell Watson Motors Company as the BEST IN TOWN You can find this 2019 Mercedes-Benz E-Class E 450 and many others like it at Powell Watson Motor Group. Add-Ons: Appearance & Protection Pkg., High Performance Window Film (Lifetime Warranty), Nitrogen You deserve a vehicle designed for higher expectations. This Mercedes-Benz E-Class delivers with a luxurious, well-appointed interior and world-class engineering. Navigate through all the icky weather with ease in this AWD-equipped Mercedes-Benz E-Class, and even get non-stop traction for your non-stop lifestyle! In addition to the amazing traction control, you may even qualify for an insurance reduction with this AWD vehicle. You could keep looking, but why? You've found the perfect vehicle right here. Just what you've been looking for. With quality in mind, this vehicle is the perfect addition to take home.Mercedes-Benz of Laredo, Best of the Best Dealer Recognition Award Voted Laredo Morning Times Best Car Dealership, Powell Watson Motors Company as the BEST IN TOWN You can find this 2019 Mercedes-Benz E-Class E 450 and many others like it at Powell Watson Motor Group. Add-Ons: Appearance & Protection Pkg., High Performance Window Film (Lifetime Warranty), Nitrogen You deserve a vehicle designed for higher expectations. This Mercedes-Benz E-Class delivers with a luxurious, well-appointed interior and world-class engineering. Navigate through all the icky weather with ease in this AWD-equipped Mercedes-Benz E-Class, and even get non-stop traction for your non-stop lifestyle! In addition to the amazing traction control, you may even qualify for an insurance reduction with this AWD vehicle. You could keep looking, but why? You've found the perfect vehicle right here. Just what you've been looking for. With quality in mind, this vehicle is the perfect addition to take home. Mercedes-Benz of Laredo, Best of the Best Dealer Recognition Award Voted Laredo Morning Times Best Car Dealership, Powell Watson Motors Company as the BEST IN TOWN This 2019 Mercedes-Benz E-Class E 450 is offered to you for sale by Powell Watson Motor Group. Add-Ons: Appearance & Protection Pkg., High Performance Window Film (Lifetime Warranty), Nitrogen You deserve a vehicle designed for higher expectations. This Mercedes-Benz E-Class delivers with a luxurious, well-appointed interior and world-class engineering. Just what you've been looking for. With quality in mind, this vehicle is the perfect addition to take home. This is the one. Just what you've been looking for. There is no reason why you shouldn't buy this Mercedes-Benz E-Class E 450. It is incomparable for the price and quality.Mercedes-Benz of Laredo, Best of the Best Dealer Recognition Award Voted Laredo Morning Times Best Car Dealership, Powell Watson Motors Company as the BEST IN TOWN This 2019 Mercedes-Benz E-Class E 450 is offered to you for sale by Powell Watson Motor Group. Add-Ons: Appearance & Protection Pkg., High Performance Window Film (Lifetime Warranty), Nitrogen You deserve a vehicle designed for higher expectations. This Mercedes-Benz E-Class delivers with a luxurious, well-appointed interior and world-class engineering. Just what you've been looking for. With quality in mind, this vehicle is the perfect addition to take home. This is the one. Just what you've been looking for. There is no reason why you shouldn't buy this Mercedes-Benz E-Class E 450. It is incomparable for the price and quality. Mercedes-Benz of Laredo, Best of the Best Dealer Recognition Award Voted Laredo Morning Times Best Car Dealership, Powell Watson Motors Company as the BEST IN TOWN This 2019 Mercedes-Benz E-Class E 450 is offered to you for sale by Powell Watson Motor Group. Add-Ons: Appearance & Protection Pkg., High Performance Window Film (Lifetime Warranty), Nitrogen If you're a driving enthusiast, you'll be grateful for the chance to drive this Mercedes-Benz E-Class E 450 convertible. You'll discover what millions of convertible owners have known for years -- nothing beats an open air experience. You appreciate the finer things in life, the vehicle you drive should not be the exception. Style, performance, sophistication is in a class of its own with this stunning Mercedes-Benz E-Class. Just what you've been looking for. With quality in mind, this vehicle is the perfect addition to take home. You've found the one you've been looking for. Your dream car.Mercedes-Benz of Laredo, Best of the Best Dealer Recognition Award Voted Laredo Morning Times Best Car Dealership, Powell Watson Motors Company as the BEST IN TOWN This 2019 Mercedes-Benz E-Class E 450 is offered to you for sale by Powell Watson Motor Group. Add-Ons: Appearance & Protection Pkg., High Performance Window Film (Lifetime Warranty), Nitrogen If you're a driving enthusiast, you'll be grateful for the chance to drive this Mercedes-Benz E-Class E 450 convertible. You'll discover what millions of convertible owners have known for years -- nothing beats an open air experience. You appreciate the finer things in life, the vehicle you drive should not be the exception. Style, performance, sophistication is in a class of its own with this stunning Mercedes-Benz E-Class. Just what you've been looking for. With quality in mind, this vehicle is the perfect addition to take home. You've found the one you've been looking for. Your dream car.